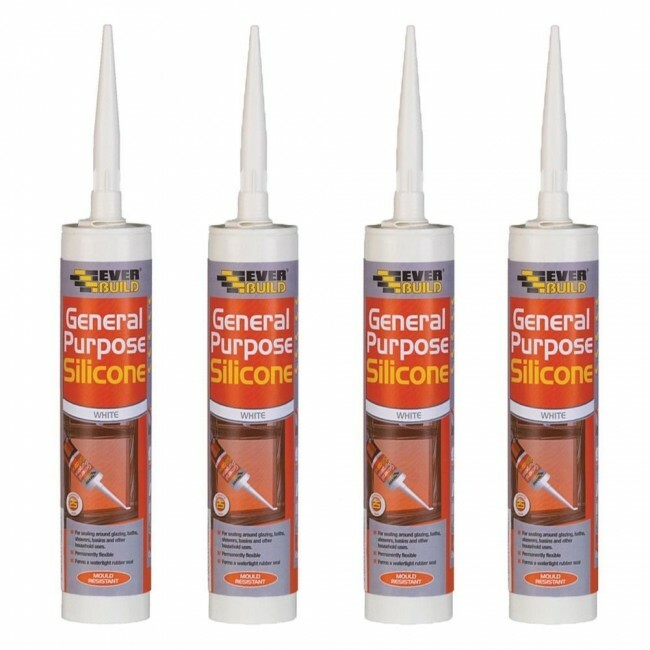 Brand New 4 x Everbuild General Purpose Sealant - Option of 4 Colours White, Clear, Black, Brown 310mm Everbuild General Purpose Silicone is a Multi-Purpose acetoxy cure silicone sealant that cures quickly to provide a permanently flexible, high strength waterproof seal. It contains a powerful anti-fungicide to prevent mould growth BENEFITS - Permanently flexible. - Anti-fungal formula - prevents mould growth. - Quick curing - low dirt pick up. - Low viscosity for fast application. AREAS FOR USE - Sealing glass to glass. - Sealing glass to aluminium and metal sealing. - Sealing around baths, showers, basins and other sanitary ware. 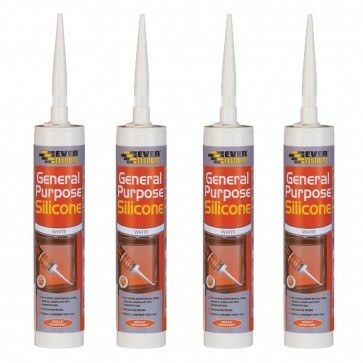 - As an adhesive for fixing PVCu trims, cladding and panels. - Sealing around worktops and laminates. - Cap glazing to metal, timber and PVCu window frames, and pointing round window and door frames. - For aluminium gutter sealing. - General draught proofing.